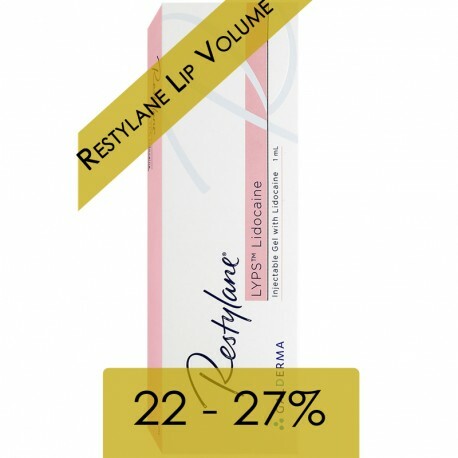 Restylane® Lyps Lidocaine (1x1ml) - Aesthetic Pharma Sp. z o.o. 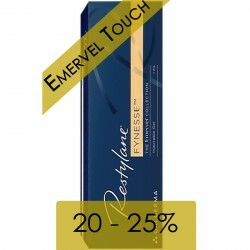 Buy 3 packs 25% discount. If you buy more, please contact us. The mouth area is particularly vulnerable to the effects of aging, both from sun and wind exposure and repeated facial expressions. RESTYLANE® Lyps Lidocaine (Lip Volume) is specifically formulated to work in harmony with the structure and movement of the lips. RESTYLANE® is an injectable gel made of hyaluronic acid, a substance naturally found in the body that attracts and binds water molecules to add volume. Hyaluronic acid is completely broken down within the skin over a period of months, eventually leaving no trace of the filler. RESTYLANE® Lyps is available with 0.3% lidocaine anaesthetic included in the product to reduce injection pain and increase treatment comfort. Restylane Lyps Lidocaine is specifically formulated for lip enhancement and lip augmentation. needles: 2 x 29G "ultra thin wall"